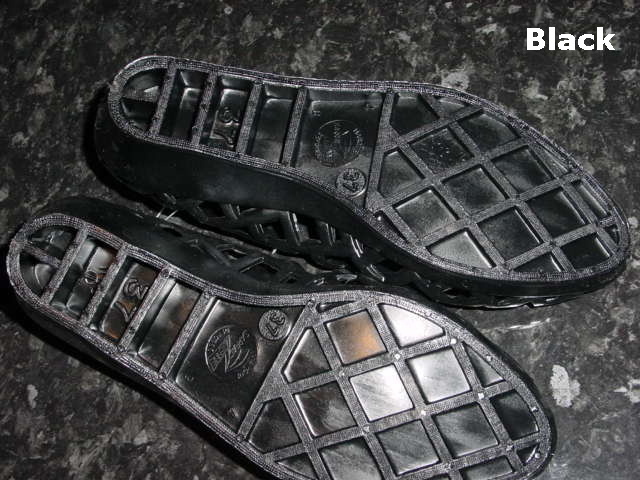 Sarraizienne footwear is manufactured in the European size scale and stamped on the sole with the European and the UK size. 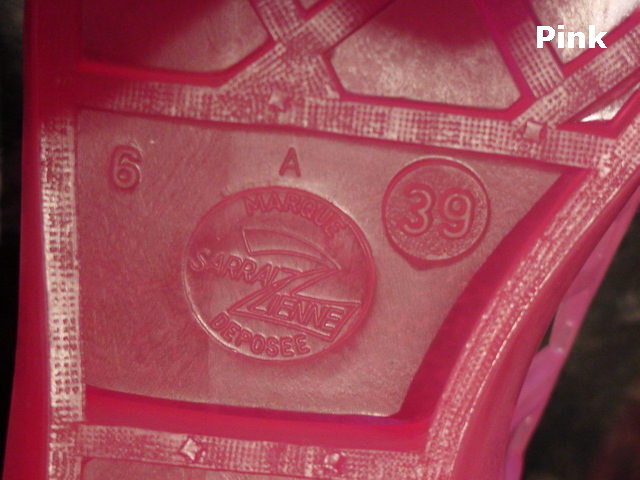 US sizes given here are for guideance only. 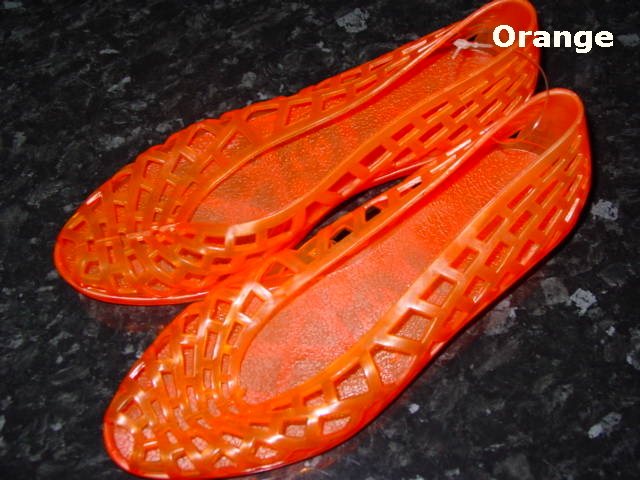 Please be sure you know your correct Euro size when ordering as, while we will happily refund the purchase price of shoes returned to us unused, we do ask customers to bear the cost of postage for any items supplied correctly by us as ordered. 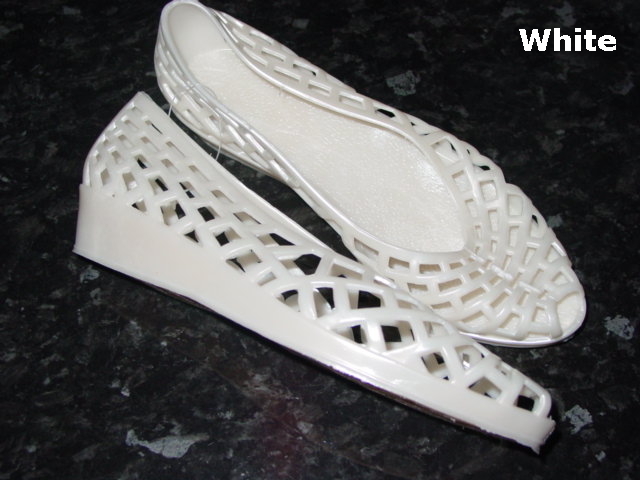 If you do order the wrong size, or wish to return shoes for any other reason, please do so to the address on our Contact Page and we will refund your credit card. 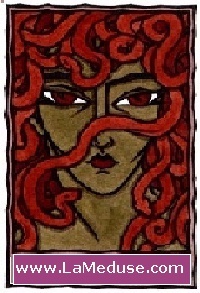 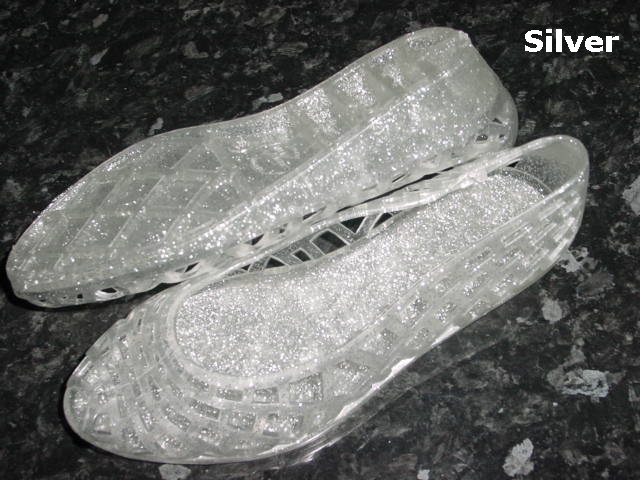 You can re-order any replacements on this web site. 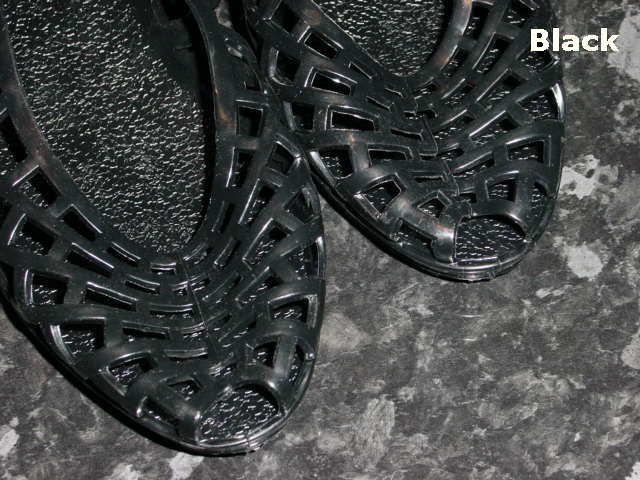 SARRAIZIENNE Java Jelly Shoes are along with their sister model "Juta" one of Monsieur Dauphant's original and best loved creations. 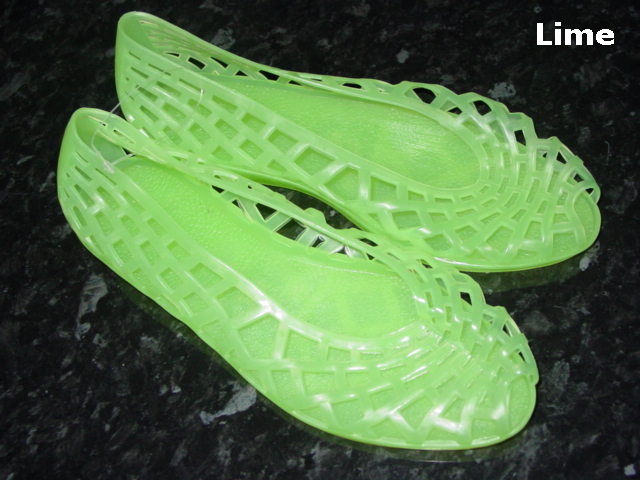 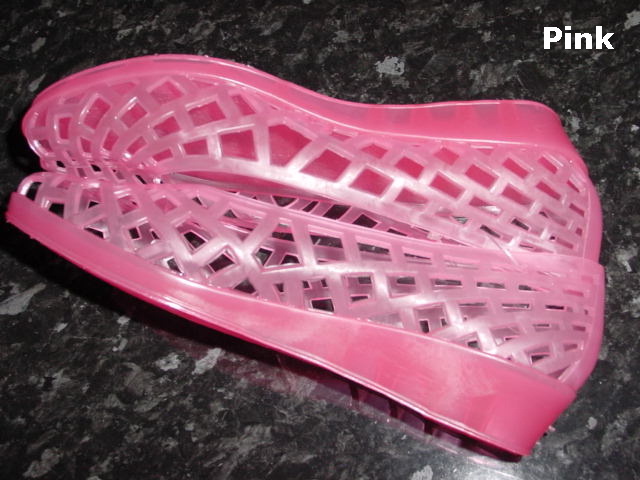 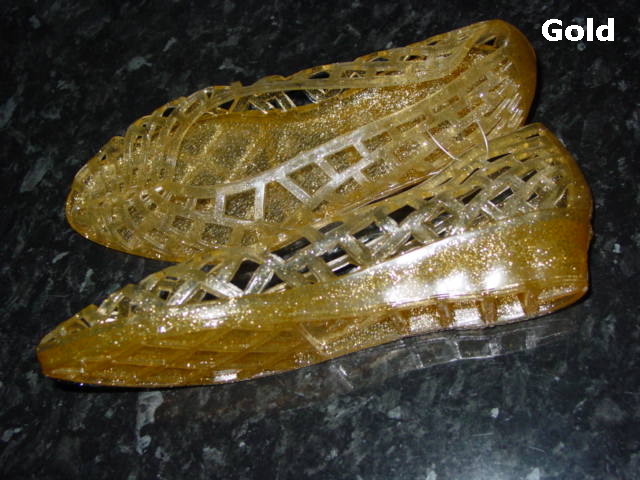 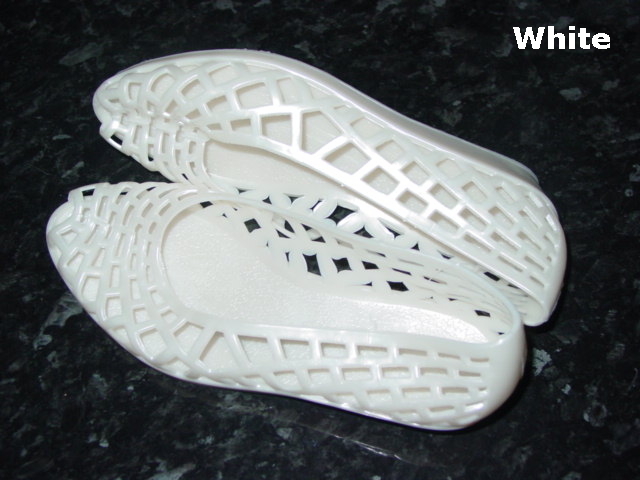 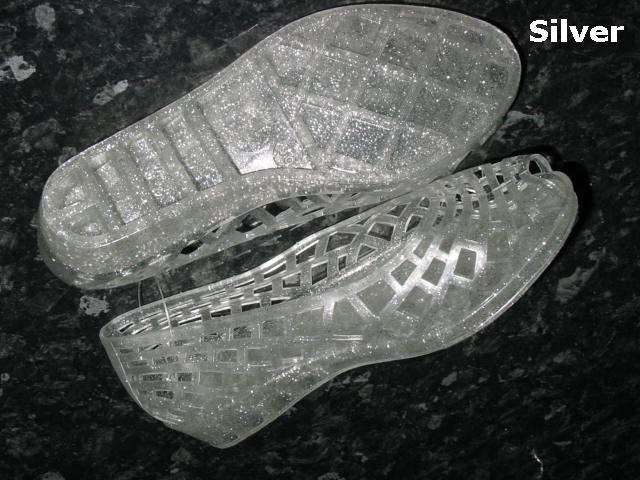 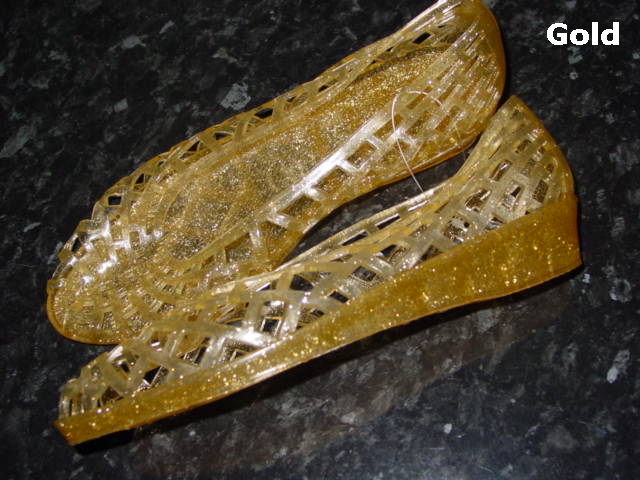 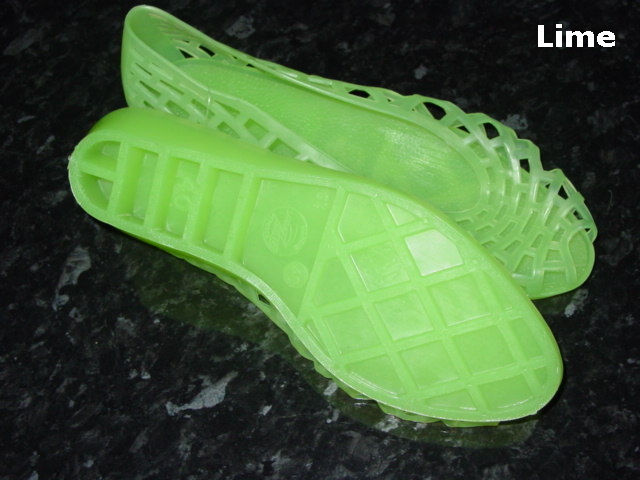 Java Jelly Shoes should not be confused with plastic shoes of similar design as Java are injection moulded from top quality dermatological neutral PVC, which makes them not only super tough, stylish but also extremely comfortable. 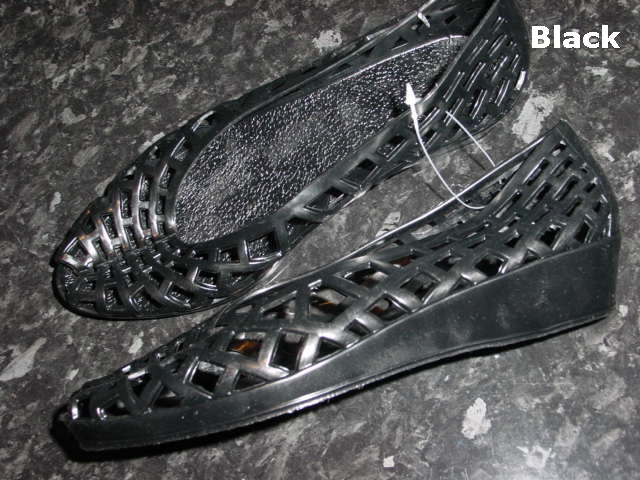 SARRAIZIENNE Java is a classic ballerina style shoe with a 1/2 inch wedge heel and open toe. 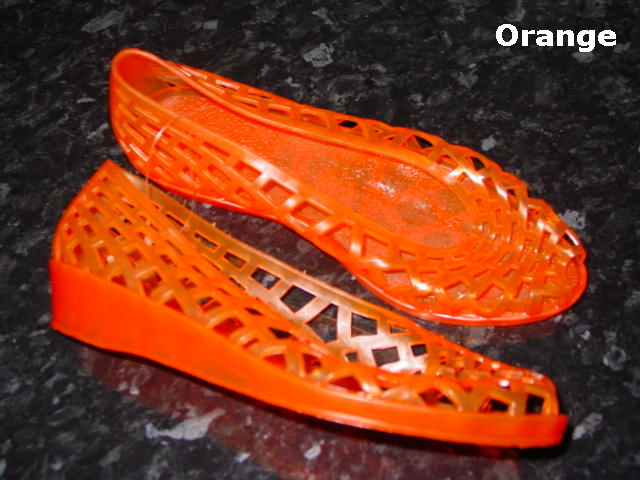 The upper has a design of oblong piercings so that they look and feel great both on and off the beach. 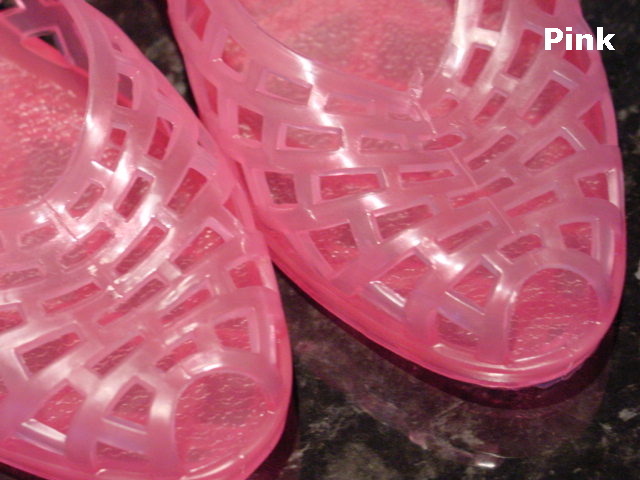 SARRAIZIENNE Java also have a non-slip sole and offer supreme wet-area protection against abrasion and infection.